Krech Exteriors is one of the most experienced and trusted Minneapolis roofing, siding, and replacement window contractors. We’ve helped hundreds of neighbors like you to make their homes more comfortable and functional. 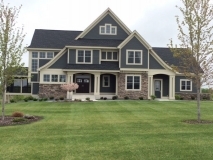 See for yourself what a difference Krech Exteriors has made in these local homes.